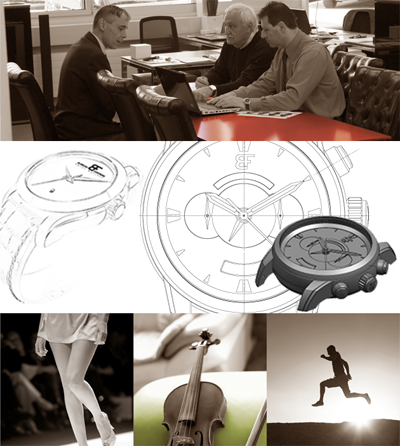 We can bring your most innovative ideas to life by creating Classic, Fashion or Sportswatches for you. Our research department can help you define your project’s aesthetic, technical, qualitative and financial objectives. Based on these, our designers propose an initial sketch to you for approval. We then proceed to the first stages of 2D technical development, so you can see what your future creation will look like. At the end of this stage you can order a resin prototype, made using stereolithography. This will give you an idea of the size, thickness and comfort of the watch before we make samples in steel or other materials.